How Did I Get So Busy? Do you find yourself settling in life? This isn't the right job for you.... This relationship isn't healthy.... These bad habits are holding you back. You want something better, but you don't know how to let go of your current circumstances and past choices. 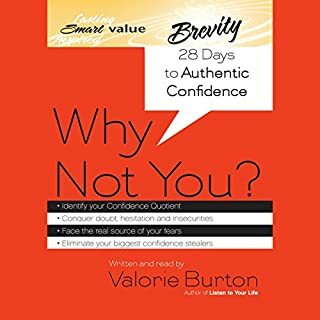 Valorie Burton, best-selling author and life strategist, offers 40 tips to help you turn your life around. Each quick listen includes powerful advice, guiding questions, and a prayer to help you seek the ultimate source of strength. "Today is a Day I Can Win"
Women have more education, more money, and more choices than ever before. Yet, research shows we are less happy than women 40 years ago. Today, we can "have it all". So why is happiness declining? 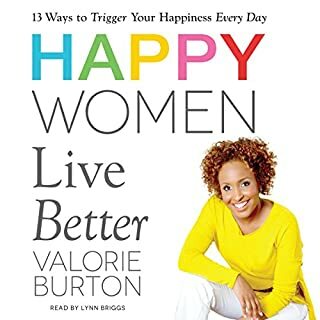 In Happy Women Live Better, best-selling author Valorie Burton unlocks the secret to your personal happiness. She reveals 13 happiness triggers - choices that can boost your joy right now, even in the midst of deadlines, children, marriage, dating, and squeezing in a workout or girls' night out. 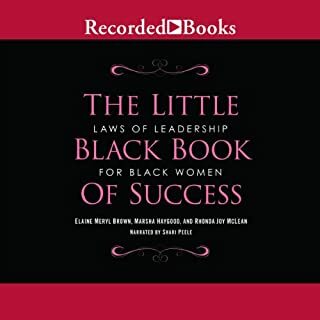 Three powerful African-American female executives celebrate their gender and heritage as they share their secrets for success in this effective guide for businesswomen. Ways to communicate thoughtfully, trust yourself, and exude self-esteem are just a few tactics the authors discuss for those who want to enter the workforce as confident leaders. Have you bought in to “the new normal”? It’s a lifestyle based on heightened expectations and upward social comparisons. It sounds good, and it often feels necessary. But it’s killing us. 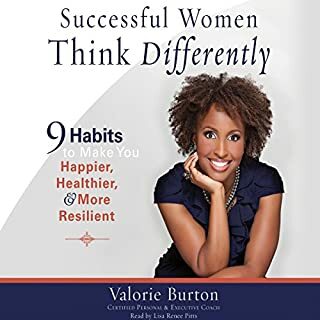 In Own Your Happy, best-selling author Valorie Burton shares openly about her struggle against a lifestyle that seems normal but is far from natural. Even better, she equips listeners with the tools to create a lifestyle filled with breathing room - a lifestyle that empowers each of us to be fully present, more productive, and truly satisfied. Popular speaker and author Sarah Jakes Roberts shows women they are not disqualified by their pain and failures and offers encouragement and strength to believe God's best is still possible. In this powerful audiobook, Lisa breaks down her plan for listeners. She shares her own remarkable story and prescribes a program of specific exercises and action steps for readers to learn from their past and move toward a courageous future. Oprah Winfrey says Super Soul Sunday is the television show she was born to do. "I see it as an offering," she explains. "If you want to be more fully present and live your life with a wide-open heart, this is the place to come to." Now, for the first time, the aha moments of inspiration and soul-expanding insight that have enlightened millions on the three-time Emmy Award-winning Super Soul Sunday are collected in The Wisdom of Sundays, a beautiful, cherishable, deeply affecting audiobook. You cannot afford to NOT hear this content! Readers and listeners of all ages and walks of life have drawn inspiration and empowerment from Elizabeth Gilbert's books for years. Now this beloved author digs deep into her own generative process to share her wisdom and unique perspective about creativity. With profound empathy and radiant generosity, she offers potent insights into the mysterious nature of inspiration. She asks us to embrace our curiosity and let go of needless suffering. Today - as repeated attempts to “fix ourselves and our lives” fail - many of us face unprecedented fears about the future, struggle with unspeakable life tragedies, and sink under the belief that certain lives do not matter in our society. Others confront our epidemic of anxiety with fierce resistance, or “the fight to be right”, criticizing anyone and everyone just to end up stuck. In the face of such pervasive human suffering, New York Times best-selling author and legendary life coach Iyanla Vanzant challenges us: What if it’s not them - what if it’s you? There's no doubt about it: these days we are just too busy. With the conveniences of technology, we're compelled to get more done in less time and end up constantly striving for the next thing - rarely stopping to consider if it's something we even want. As a result, we end up missing out on the things that truly matter: our relationships, the activities we love, quiet time to reflect and replenish our energy. 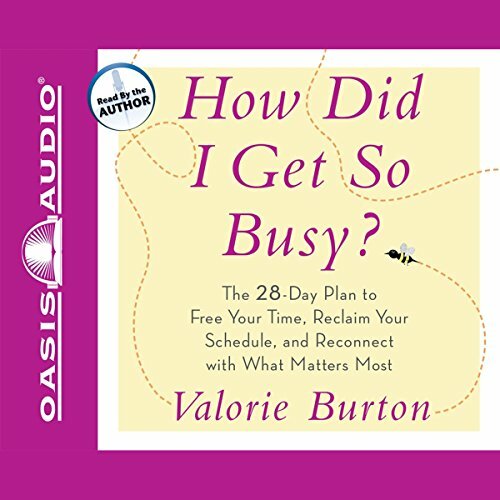 Valorie Burton's How Did I Get So Busy? is the solution for anyone who feels perpetually overwhelmed and overworked: a simple, effective 28-day program to help you rediscover your true priorities, shift out of overdrive, and reclaim your life and schedule. Built around Burton's "Ten Commandments of Self-Care," each day presents an easy-to-follow task to help you strip away the meaningless activities that occupy your time and make room for what nourishes you--mind, body, and spirit. The tasks are simple but yield big rewards. if you were busy and stressed this book is a must-read, the change my life several years ago and I continue to listen to it on a regular basis any time I start to feel like my life is getting too hectic. 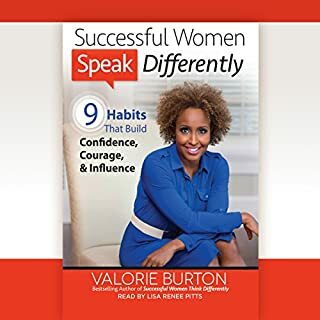 Valorie Burton is an excellent coach all of her books are very helpful. Need a tool that will change your life? Read this! The best eye opening book on this subject....ever! Truly blessed to have found this book. the content of the book was practical and deep at the same time. It helps you reflect and give you practical tips to explore your changes. I'm transitioning from a career of 21 years of being extremely busy all the time. I don't recall how I came across this book and must chalk it up to divine intervention. It was what I needed to begin the process of reclaiming me and my life before moving forward. It was insightful with wonderful ways to reconnect and reset my priorities. It was inspirational in a warm and affirming manner that helped me to fully embrace its offerings. I highly recommend this book to anyone looking to not be so busy as to miss life. 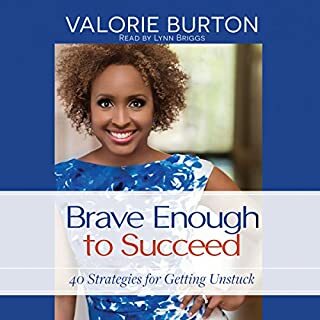 Would you try another book from Valorie Burton and/or Valorie Burton? What was most disappointing about Valorie Burton’s story? It was just so religious...Like she was trying to sell TD Jakes ministry. No...Just wish I could return it!